Master students have the opportunity of living in a historic building – San Roque – located in the very heart of Alicante for a low monthly rental price about EUR 140-260 all inclusive. It is located in the upper side of the old town, on the slopes of Monte Benacantil, adjoins the Ereta Public Park and 700m. walking to the beach. Spacious shared areas, sea views, full equipment kitchen, living room with TV, DVD, laundry, free WI-FI, terrace, water, electricity, heating, cleaning service and maintenance included. 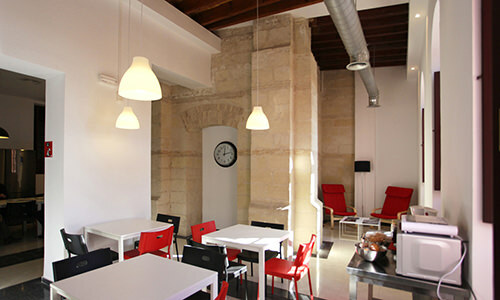 The building was renovated exclusively for the Master students and is not only a residency, but a center for the students of the Master. 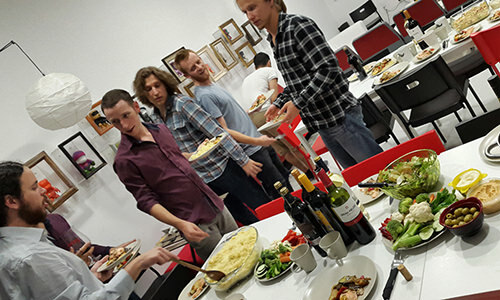 During the Masters course, the students all live together. 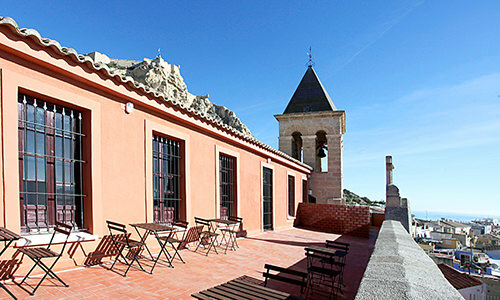 The accommodation in the historic San Roque building, which has been completely renovated; it has a view over Alicante to the Mediterranean Sea, and is just a short walk from the San Nicolás Cathedral and the centre of Alicante. 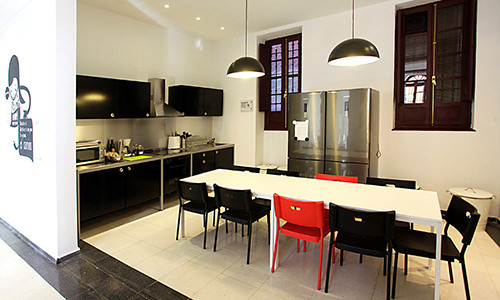 The students have their own bedrooms but share the kitchen and living areas. 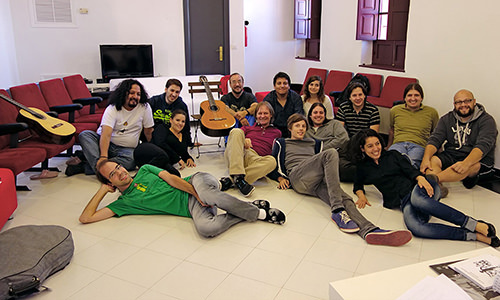 I visited San Roque and was offered an excellent cup of Italian coffee by the students. They told me that they were very comfortable living there and that they were all very happy together. This offers them the unique opportunity to talk and play for each other, to discuss their approaches to playing. 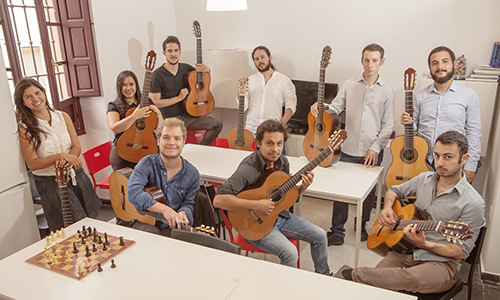 They each come from such different backgrounds, and they are all dedicated to learning more and playing the guitar better. What is more, the accommodation is very inexpensive. Every aspect of living has been organised for the Masters course, so that the students only need to focus on their studies. Transport. You can go walking from residence to classrooms. Transport to the halls where the student concerts are held is provided by the organization of the master for free. Plus your personal expenses: travel, utility bills, food, etc.